As a bilingual bestselling novelist with a mixed Franco-British bloodline and a host of eminent forebears, Tatiana de Rosnay is the perfect candidate to write a biography of Daphne du Maurier. As an eleven-year-old de Rosnay read and reread Rebecca, becoming a lifelong devotee of Du Maurier's fiction. Now de Rosnay pays homage to the writer who influenced her so deeply, following Du Maurier from a shy seven-year-old, a rebellious sixteen-year-old, a twenty-something newlywed, and finally a cantankerous old lady. 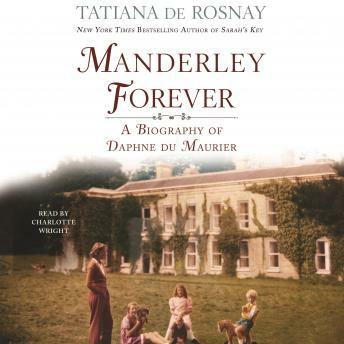 With a rhythm and intimacy to its prose characteristic of all de Rosnay's works, Manderley Forever is a vividly compelling portrait and celebration of an intriguing, hugely popular and (at the time) critically underrated writer.